Pioneers in the industry, we offer aluminum heat sink k5 casting, heat sink resistor and anodizing heatsink from India. Our firm specializes in providing our prestigious clients with a quality array of Aluminum Heat Sink. The heat sink offered by us is available with threading for the diode/Scr and also in complete smooth finish. This heat sink offer high performance our heat sinks find their applications in power electronic industry. 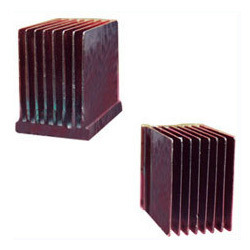 Our vendors manufacture this heat sink using high quality of material & contemporary techniques following the set norms of industry. 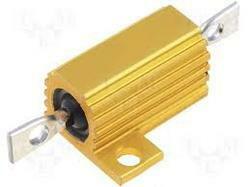 We are the leading institutions indulged in wholesale trader & supplying a premium range of Heat Sink Resistor. Entire range is lauded for its quality, strength, durability and performance. We are the leading institutions indulged in wholesale trader & supplying a premium range of Anodizing Heatsink. Entire range is lauded for its quality, strength, durability and performance. Looking for Heatsink Paste ?